Singer Alanis Morrisette and husband Mario “MC Souleye” Treadway were spotted leaving Whole Foods in Santa Monica with a trolly full on Wednesday,November 24th. 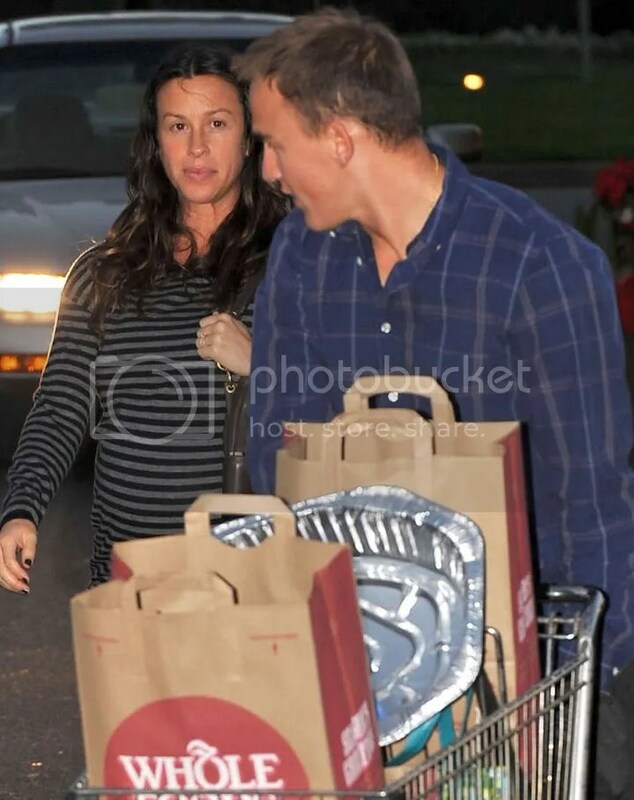 The pair have just celebrated their last Thanksgiving as a pair — their first child — a boy — is due in December. This entry was posted in Pregnancy Photos. Bookmark the permalink. Normally I don’t read post on blogs, however I wish to say that this write-up very forced me to take a look at and do so! Your writing taste has been amazed me. Thanks, very great post.